The demo was released on a CD sold along with Type-Moon Ace Magazine, Issue 7. I ordered the magazine a while back but it still hasn't arrived, so I downloaded the demo in the meantime. Despite not being able to read a word it was pretty awesome. It's cool to look back at older Type-Moon works and see how far the engine has come. It definitely seems promising. Here's a random screen cap. But enough about the game. Now for the loot! First up was a poster advertising the game. I saw this photo of it online and I knew I had to get it. Nice! 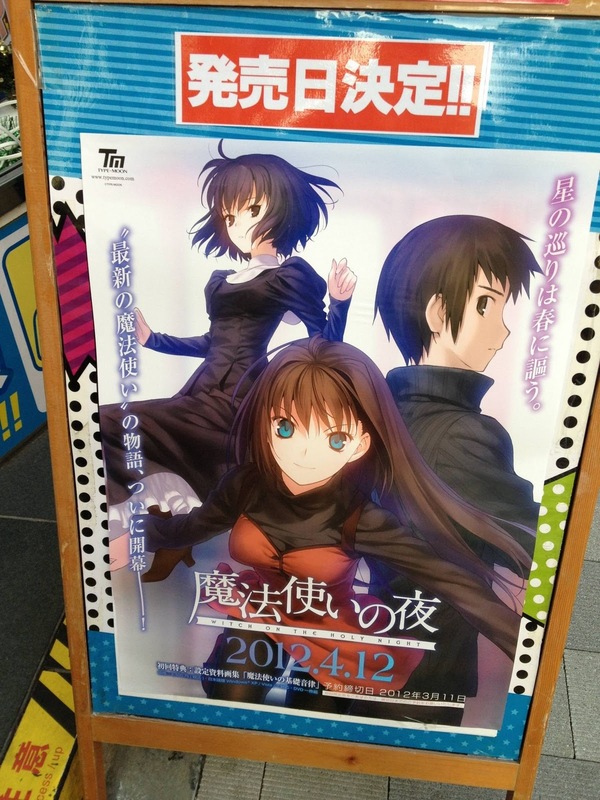 Now hopefully it actually gets released on 2012.4.12. The second thing was a set of phone cards released at Comiket by Type-Moon. 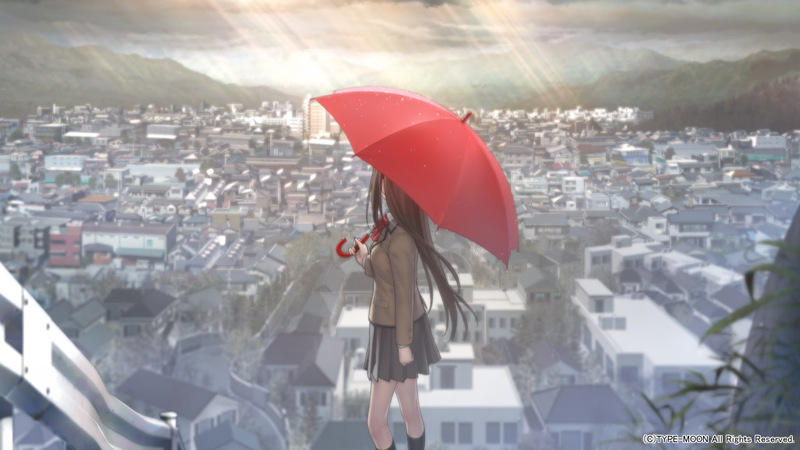 The first card features Aoko and the second features Alice. They are displayed pretty nicely. 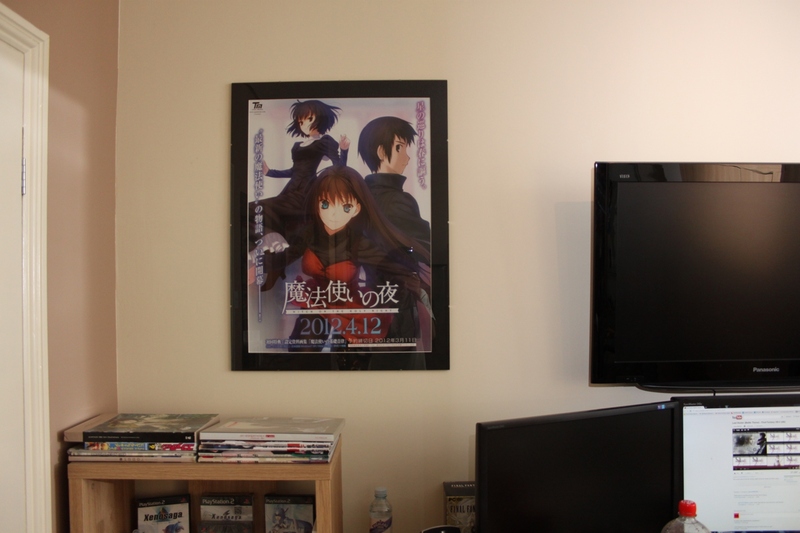 And on the back is a nice big pic of Aoko. This set I was going to buy on Yahoo Auctions, but I saw it on Mandarake so I got on on there as it was cheaper and less hassle. At the moment this is the sum total of my mahoyo stuff, but there isn't that much at the moment and what there is is pretty hard to get hold of.